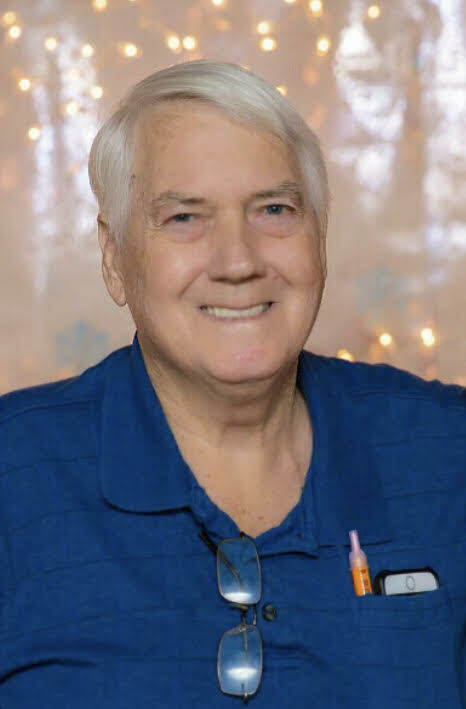 Mickey Charles Baugus passed away on Sunday November 11, 2018, in his home surrounded by family. Mickey was well known for his quick wit, his over-the-top story-telling and even more over-the-top DIY talents. He was a true “sexual intellectual.” He had a personality that people were drawn to. He loved an adventure with as many people as possible and had the best jokes to make everyone laugh, or antagonize them at least. In September 1960, Mickey enlisted as a soldier in the United States Army. While stationed in Germany he trained fellow soldiers in safe flight simulation and mechanics. He always had a passion for fixing anything he could get his hands on. In the early 70’s he became co-owner of a Kawasaki motorcycle shop in Tahlequah, OK. His journey in the motorcycle industry later led him to Tulsa, working at Smokey’s Honda. One of his great accomplishments was being part of a team who set the world land speed record with a stock 750cc motorcycle at the Bonneville Salt Flats. Mickey graduated from Oklahoma State University earning both his Bachelor’s and Master’s degrees in Trade and Industrial Education. In 1972, Mickey began working for Central Technology Center teaching auto mechanics. He loved all things mechanical, but his passion for motorcycles ran deep. In 1979, he persuaded Central Tech to approve the first motorcycle mechanics program in Oklahoma. He facilitated corporations, including Honda, Kawasaki, Suzuki, and Yamaha, to donate over five-hundred thousand dollars’ worth of equipment to the program. His ingenuity and resourcefulness made it a success. Central Tech’s Motorcycle Mechanics program received the United States Secretary of Education Outstanding Vocational Education Program of 1983. Mickey later went on to become an Adult Recruiter and Adult Career Development Coordinator for Central Tech and retired after 21 years of service. His ambition, intelligence, innovations, and ability to always think outside the box were truly amazing. After retirement he loved to host family gatherings, traveling and fishing, although he frequently had to show his “minnow” at the boat dock. He led numerous family vacations predictably turning out much like the Griswold’s. Even when his physical abilities started to decline, his mind remained sharp as a tack. With simple modifications, he developed his new official management position complete with a hover round for quick transportation and toe smashing. There is truly never a dull moment with a Baugus around, thanks to Mickey. Mickey is survived by his loving wife of 50 years (actually 43 1/2, she rounds up) Cheryl, four children, Mike, David, Lindsey, and Tiffany, eight grandchildren, Chelsea, Jordan, Beth, Alyson, Landon, Lexi, Jett and Jaxon, great-grandchildren Carley and Luke, two sisters, Dee and Joan Nicks, and six nephews. The memorial service to celebrate Mickey’s life will be held on December 2, 2018 at Keystone State Park Community Center. Details will be available on Tiffany Baugus’s and Lindsey LeForce’s Facebook pages. Hi Cheryl, just found out that Mickey has passed away. I’m so sorry. I remember him as being such a nice and fun individual to be around. I always thought of you two as such a sweet and fun couple. Keeping you and your family in prayer for comfort and healing. My cousin Mickey was a great inspiration to me. I got most of my ambition from him. I often thought of him. As a young boy I really enjoyed going to visit my uncle Amille and aunt Edith. When I got to be around Mickey I was right on his heels learning everything I could. He was and has always been an inspiration to me. My wife (Sharon) and I, visited his family in Oklahoma during the summer of 1994. We had a great time at the lake. When he left California I wanted to go find him but was too young. I hope to see him again in the afterlife if there is one. Wishing you all well.